A while ago, my daughter bought a packet of sablés des près from Bonne Maman and it was so good. So I looked at the ingredients and decided to create my own. Et voilà mes sablés aux graines!… if ever I can be allowed to blow my own horn, this would be it! These sablés turned out delicious and I’ve decided it will be my Christmas gift to friends this season. I’ve done half of the quantity with the addition of poppy- white sesamé- and sunflower seeds and the other half with only fennel seeds, which have a more “herb” taste and are as delicious. With a cup of tea or tisane…late night…before bed…pure comfort! The only problem? How to stop at two sablés..! Whole wheat flour can be used instead of white flour. When using whole wheat flour, use light brown sugar instead of white sugar for more rustic coloured cookies. Replace 1/2 c flour with 1/2 c rice flour. Replace the three seeds with 3 TBSP of fennel seeds. If you use unsalted butter, add a pinch of salt to the dried ingredients. Use a stencil to flatten the cookies…with a letter of the alphabet, or another design that you like. …sablés aux graines..la farine de blé, tipe 55…sablés des près de Bonne Maman..
I’m saying goodbye to a breathtaking autumn…! Our rains have arrive this weekend…pouring down non stop! And so the warm splendor of autumn has now been forced to make way for the abstract art of stark winter impressions. With silly excitement, I will now trot along November deeper into winter, all the while planning our Christmas tree, which will be put up on 1 December, like tradition dictates. (Keep an eye on the watch it you’d like to see..) And to keep the winter blues at bay, I will be planning our outings and visits to chateaux and places of interest for this season….the chateaux have such different ambiance in December…in Chenonceau for example, a huge fire crackles in the massive fireplace…and after such a visit, it will be off to warm ouselves around a chocolat chaud in a cozy brasserie. It is also the time to go to shows and chorals and music concerts in the catedrales. But more about all of this later. 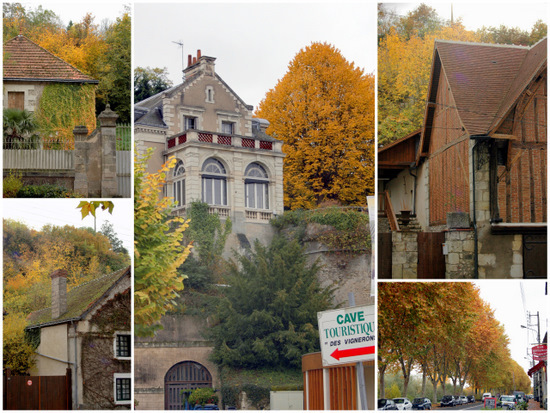 For now, a last tribute to la Touraine pittoresque! ..je vous souhaite une bonne semaine!.. Previous Article Artichokes with figs..and a little bit of Paris. Oh vraiment.. avec le “R”~!! I have had the plain Bonne Maman and am addicted.. never w/ these additions..How cute w/ the R..
Lovely photos also of Touraine..Looks like our October..
Love love love your blog.You know that already. How incredibly gorgeous those photos are! You made my day! Ronelle, the cookies sound delicious and thank you for your recipe. 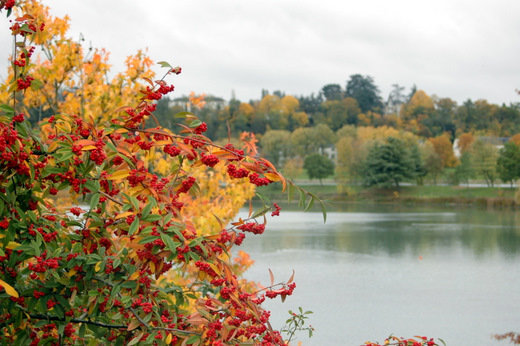 Your photos of autumn are gorgeous! Bonjour Ronelle~ your sables look so…. lovely and what a great idea to give them as Christmans gifts!! Autumn is such a pretty season & your pics are just gorgeous, especially the one with the little creek and pretty reflections. I do love your savory cookie-biscuits – perfect for autummn. 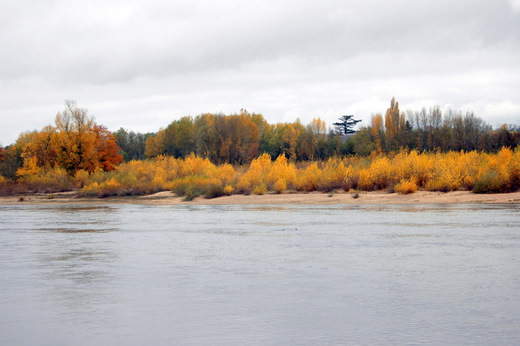 And autumn – yes, we are all saying good-bye to autumn and the color. And your color just brings me into the picture and I take a walk. A cyber-walk – but a walk. Onward and upward – the holidays beckon and we don’t do anything early – we will wait for December. Which has its own beauty. Have a beautiful week! 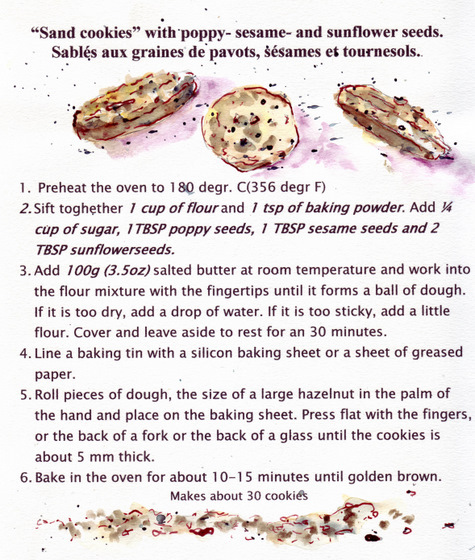 I just wrote a message to a friend saying that Chloe and I will be baking cookies today…..and voila, here is a recipe. Thank you!! 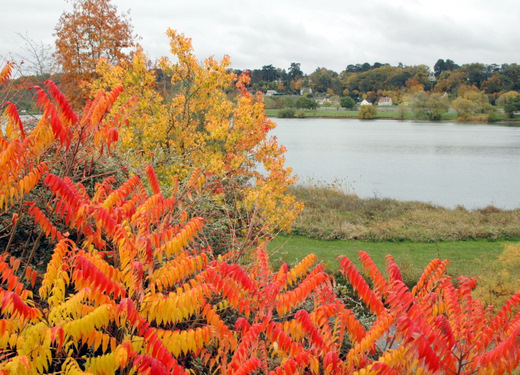 I love the autumn colors!! Love those cookies. Would love to try your recipe! Beautiful pictures. 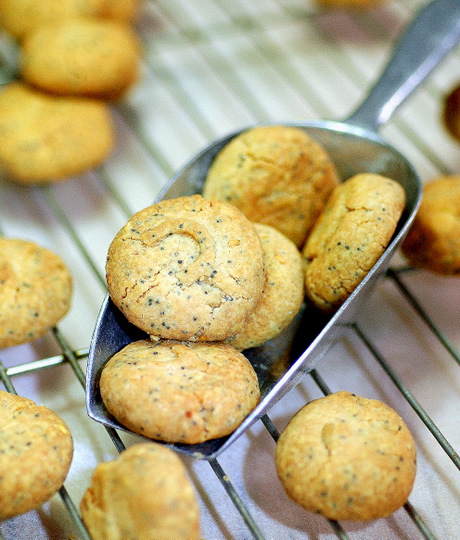 I love sand cookies and these look so good with the poppy seeds. Wow. The autumn colors are amazing. I’ve wanted to try sables for a long time, but have never gotten around to it. Your recipe may just be the push I need. What lucky friends to receive a yummy gift such as these sables. 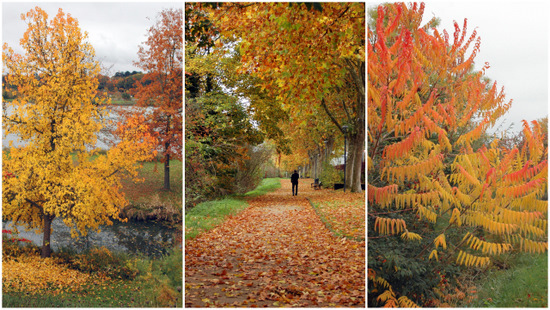 What lovely images of Autumn Ronelle!! Was lovely to take a walk with you through the beautiful coloured pathways. Biscuits look divine. I usually bake Rosemary Shortbread biscuits for presents over Christmas time. Got it from a French recipe book many years ago. Might share it on my blog this year. have fun preparing for winter. We are making plans for camping in the lovely National Parks we have here in NSW, Australia. All sun, fun and beaches for us. Thanks for a lovely blog!! Awhhh…the “sablés” look delicious!! I think I might bake them and give them as Christmas gifts as well…what a nice idea! 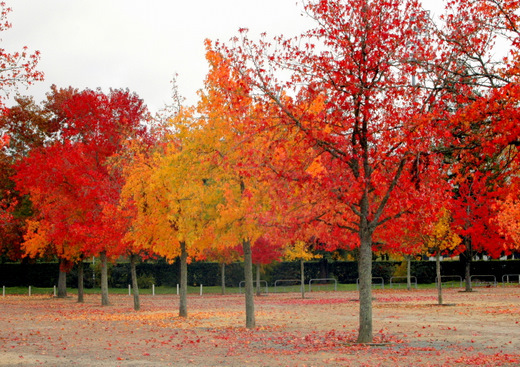 Your pictures of the trees with there warm autumn colors are a feast for the eyes!! Your fall colors are beautiful. Here, the leaves are pretty much gone and we have had several very hard frosts. Your cookies look delicious. Your cookies look like a perfect accompaniment to a cup of tea! 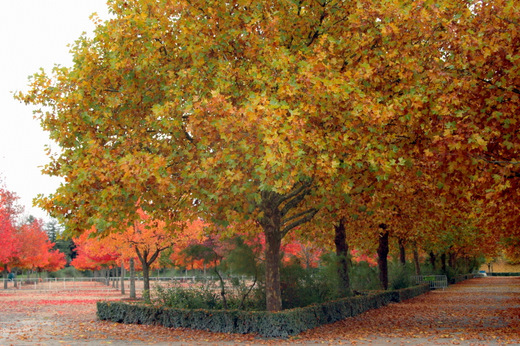 And, wow, the color of the leaves in your photos is amazing. Can’t wait to see your Christmas tree too! ahhhhhh, I can almost taste those sables, the most delectable, mouth watering sables EVER. You tease us with these Ronelle. Trés belle cookies, Ronelle! MMMMMM,..Very beautiful pictures too!! Ces sablés et les photos sont magnifiques! 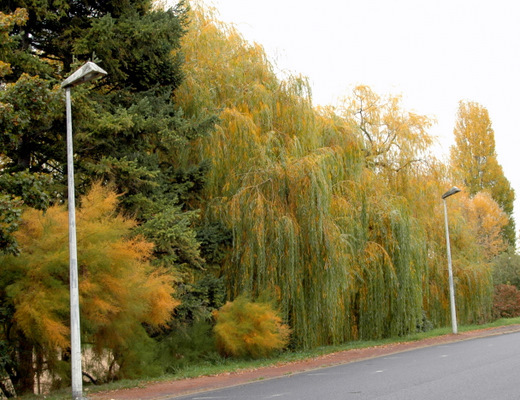 j’adore l’idée d’ajouter toutes ces graines et en même temps de garder le sablé classique; les arbres sont splendides! Oh my! Where do I start! 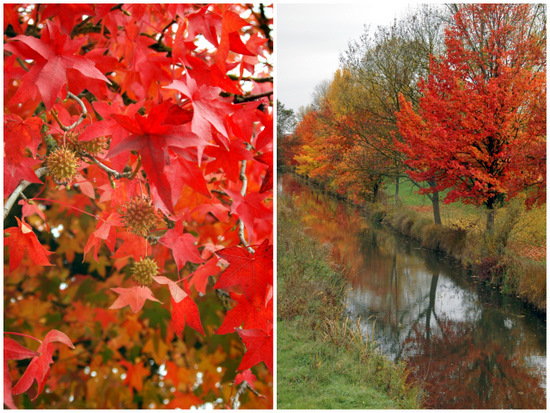 These are some of the most gorgeous photos I have seen of autumn! Makes me sad it is gone. …but then, we have your Christmas photos to look forward to. I always love seeing your decorations and decor ~ so cozy, romantic and inviting! 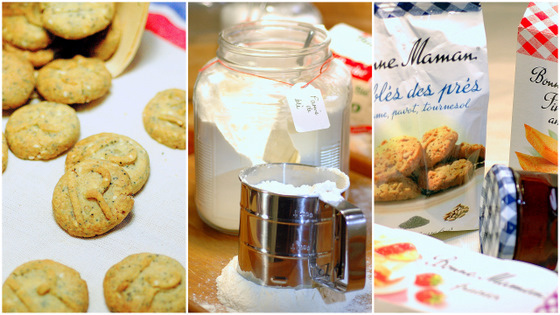 …then add these scrumptious cookies to the mix! I must make these. They sound divine. Looking forward to December 1st! ‘Til then….have a beautiful week.